BATTLE FOR WORLD / TASS | April 19, 2019: The article highlights that the unreliability of the American currency is evident in the conditions that have emerged on world markets as a result of US actions, said the Russian Foreign Minister Sergey Lavrov on Friday (April 19) meeting with members of the International Council on Cooperation and Investments. That stability is important for business and “We are trying to pursue a constructive unifying foreign policy course, which is primarily aimed at providing the most favorable conditions for cooperation with foreign partners on a mutually beneficial basis,” but that “unilateral sanctions, which bypass the UN Security Council under a false pretext, hinder the process,” said Lavrov. The minister noted that sanctions are increasingly being used under the pretext of “punishing the wrong political behavior of one country or another” and as become an “unfair competition method,” which leads to trade wars and extraterritorial application of national legislation. BATTLE FOR WORLD / SPUTNIK NEWS | April 5, 2019: The article highlights that the No Oil Producing and Exporting Cartels Act (NOPEC) introduced by the US Congress in 2000 to combat OPEC’s price regulation, but the bill never made it into law. However, prior to being elected president of the United States, Donald Trump expressed vocal support for the bill in 2011. The Reuters news agency noted in the article that abandonment of the dollar by a major oil exporter like Saudi Arabia, potentially could lead to a reduction in US role in global trade and its overall ability to force policies on other states using sanctions. Riyadh is responsible for around a 10th of global oil production. BATTLE FOR WORLD / TASS | March 7, 2019: The article highlights that Russia’s Gazprom Export has successfully completed it’s first deal on gas sales to Western Europe priced in rubles on the Electronic Sales Platform, the company said in a statement on Thursday (March 7). 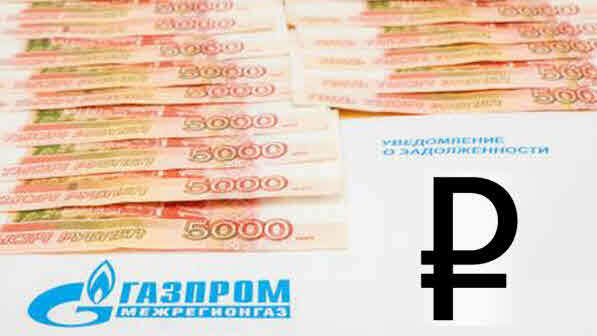 “For the first time in Gazprom Export’s history, a western European company buys gas and pays in rubles for it. So far it would be too early to provide any long term forecasts. Still we plan to further develop sales in rubles through our Russian Electronic Sales Platform,” said Burmistrova of Gazprom. BATTLE FOR WORLD / RT – January 27, 2019: The video highlights comments regarding DAVOS by Max Keiser and Stacy Herbert. Davos…ended and who did not attend include the US President Donald Trump, Emmanuel Macron of France, Theresa May the Prime Minister of the United Kingdom, because there’s domestic uprising in all of those places and domestic chaos. Their governments in problems: The United States government shutdown; Macron is facing the end of his government; and May is facing the end of Britain as we know it. All this is playing into the big theme of de-dollarization and de-globalization, and Davos is a huge organization for globalization. All the big globalizers, they go to DAVOS and talk about their globalist agenda. But because we are in a de-globalization and de-dollarization era, naturally these folks don’t go to DAVOS because it has outlived its purpose. The prediction is that come 2020 there will be a no Davos held; not as we know it, perhaps it maybe occupied by the Gilets Jaunes (Jelay Jun) in France, the Indignados in Spain and the Deplorables in the United States. (BattleForWorld: Implying that it might take on a social face of healing the world.) Davos will be for hasbeens and jerks in its current form. We are heading into the Twilight of the Elites – the end of their days. The scam by the globalists is to manage social movements and protests endorsing them using celebrities, actors, the media and the intellectuals, but none of them approve of the Gilets Jaunes (referring to the French protesters protesting social inequalities, etc.). The elites do not understand the cultural divide because they are so cozy away from the people. And the closest they will get to the people is by using celebrities, actors, the media and the intellectuals. The globalists use the United Nations to push their geopolitical agenda for the people to accept relentless wars, etc. and use celebrities…to push their social justice warrior movement. These acts are referred to in code as “virtue signalling”. Where the use of prestige is given a moral face to push social causes or elevate standing, but behind it hides deception – some type of scam.